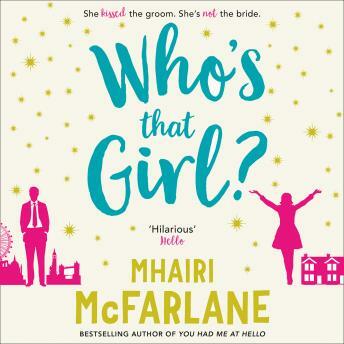 When Edie is caught in a compromising position at her colleagues' wedding, all the blame falls on her - turns out that personal popularity in the office is not that different from your schooldays. Shamed online and ostracised by everyone she knows, Edie's forced to take an extended sabbatical - ghostwriting an autobiography for hot new acting talent, Elliot Owen. Easy, right? Wrong. Banished back to her home town of Nottingham, Edie is not only dealing with a man who probably hasn't heard the word 'no' in a decade, but also suffering an excruciating regression to her teenage years as she moves back in with her widowed father and judgy, layabout sister. When the world is asking who you are, it's hard not to question yourself. Who's that girl? Edie is ready to find out.